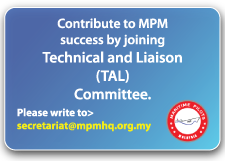 Maritime Pilots Malaysia (MPM), as the Malaysian maritime pilots professional organisation, continues to promote the profession to the public, the nature of the profession itself and how this noble profession contributes relentlessly over the decades and future; towards the sustainability and development of maritime and shipping industry in Malaysia and globally. 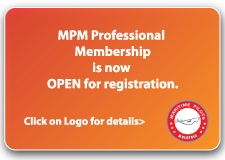 As of October 1, 2017; the organisation begun to issues MPM eID, the digitalised identification for its members and at the same time officially granted title and acronym to its members based on its member's professional status, including associate membership. The use of acronym is subjected to stringent control and reassessment by the organisation and made into effect based on the validity of MPM eID which has validity of 12 calendar months. 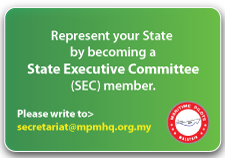 Professional member who attained Unrestricted Maritime Pilot License (Full), is entitled and to use this professional honorific title preceding his name. It applies to both active or non-active maritime pilots. 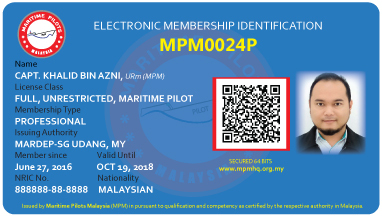 Professional member of maritime pilot who is registered with Maritime Pilots Malaysia. An associates member who is not a professional licensed pilot, but a professional individual who is attached to the maritime and/or shipping orientated business or activities.